When I met Orna Shaul for the first time, I was amazed and marveled that there are still women like her. A total woman. Bold waist, lipstick, lots of red, Stilettos any time of day and along with it a dynamic working wife, a wife and mother of three. Same look on the way to the grocery store, so I imagine it. I have not checked ... I met with Orna for a talk about life and mainly work at her stunning Allenby Street apartment. 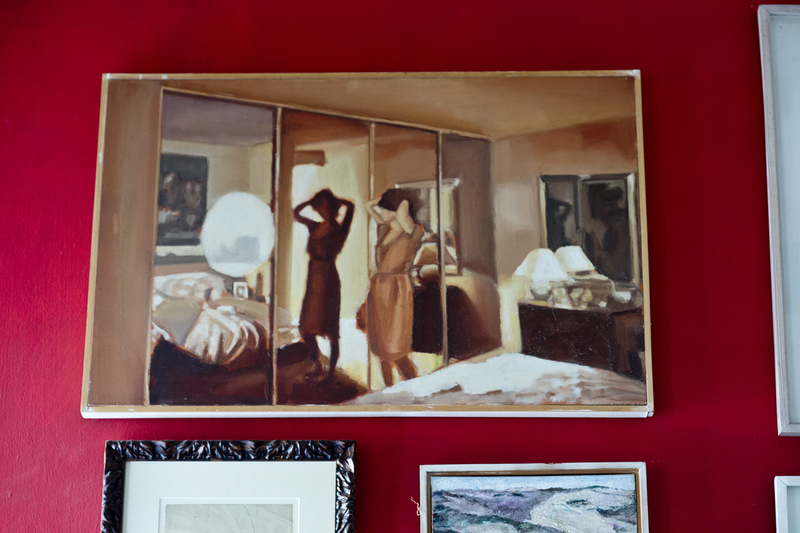 Orna and her husband, artist Yuval Shaul, chose to live 25 years ago in a huge apartment in an old house with high ceilings in the middle of the middle of the mess, Allenby corner of Geula st. And here they also raised their three children. The little still in high school and the big has already left home. None of the Shaul family's choices is common, except that they have been married for nearly thirty years. And perhaps this is the most unusual nowadays.The airy home, each room with carpet tiles in another pattern, and some surprising collections. Ancient pottery, for example, acquired 30 years ago in the Old City of Jerusalem, or statues of Christian saints, some of which were brought from abroad and some from Jaffa. Most of all the family's lifestyle reminds me of the Italians, who invest their energy and money in things that really matter, beauty and experiences. Orna manages a small shop for vintage clothing and second hand, named Vanity, located in Geula Street, not far from her home. Locating items in Israel and abroad, and mainly being involved in what is close to her heart and making sure these old and ancient cultural gems do not disappear. M: How did you engage in Vintage? O: I was a dance and movement teacher for children, which I really enjoyed, but after ten years, I was tired. My love for clothes started when I was young, it's connected to my love for dance. I do not see a mere piece of cloth in a garment but movement, body and music. Vintage - I see it as nostalgia for a time that is gone. I'm very romantic. I love the reliance on memories. And the presence of memories in Vintage fascinates me. M: Why memories? What does it creates for you? O: I like being a little unique, a little different, and this Present - it is a big No No No ! You know - I have children, I love electronic music, I'm not stepping in place, but vintage preserves something very special and different. Once the garment had a much greater attention to detail and there was something much more personal, not a factory line. I'm looking for an unconventional statement in what I'm wearing. I opened my store, among other things, so these beautiful items, that everyone asks me where they are from, reach more people. The start was at home, I started to sell in my house, I knew I wanted it to be something very personal, and it was very nice. M: This is charming. Such a non Israeli concept . O: Yes, these are my plans for the future too. I want to open a fashion house, not a store. Find a space that is like a home, so it would be possible to enter and look around, get inspired, and it will be scalable. I'm having trouble with these beautiful clothes that people can not buy. Me too, I can not spend ₪ 8,000 on a dress. I really appreciate Haute Couture fashion, best sewing, every detail thought of, and precious fabric, it's all very fine. But who has money for such a luxury? But me even when I mingle in the richest circles, people always compliment me and ask about my clothes . So I'm planning to have a store that fits many kinds of people. Decent prices and a high level as well as haute couture. O: I saw it was not enough business, women coming, not coming ... and no livelihood. Then my son, clever Ohad, said: Mom, you have to open up! I decided that if I open a shop, I want it to be like home. So women feel comfortable, they can undress and dress freely. I also knew it would be nearby, then my eyes fell upon a shop next door, on Geula Street , and there I opened the store. M: Where do you find the clothes you sell? O: Italy, France, and I also have a line of clothes I design myself inspired by vintage. I have a source in northern Italy. Naples and Rome. And I have a buyer in Paris, but his cheap things I do not like and the expensive I do, therefore I do not bring much from him. In addition - I am searching too. I have two buyers of vintage clothing in Israel. One buys all over the world, so it is also a source of clothing from England. I have been working with them for four years now. M: I did not know that there are Vintage buyers in Israel. O: Yes, there are some serious collectors who've been collecting for many years, buying, selling ... vintage and second hand, too. What's your line of style? O: My line is first of all very elegant and feminine and clean. The garment can be beaded but then the other things are quiet. I'm still learning the subject. I'm not yet completely in control. I still do not understand body and sizes perfectly, I didn't learned fashion design. But I believe we can learn by doing. I used to think that everything has to be done by the book. When women come to me and ask me to style them, I tell them to find their own personal style and then we will continue. I do not agree dressing them up like me. "Fashion trends, style is eternal." said Yves Saint Laurent, and this saying has accompanied me all the way. My mother didn't know to dress but my father had style. He came to Israel, I am from a Halabi origin, with a djellaba and turban on, but in seconds he switched to a suit. He knew to dress. Like him I use my intuition, although I did study: I have a BA and Ma in Hebrew Literature and Art. I do what I feel is right. At first I thought I would be a sports teacher but things are changing. Today I dance, ballroom dancing, for my own pleasure. It connects me to who I really am, it closed all the circles. In ballroom dance I wear Vintage theatrical clothes, and it is performed with the music of the past, manifesting a dramatic and stormy women. כשפגשתי את אורנה שאול לראשונה ,התפלאתי והתפעלתי שיש עדיין נשים כמוה. "Today I also like black and white, but a lot more color"
"I use to love dancing when people watch me.Today less"
א: כן ,יש כמה אספניות רציניות שאוספות כבר הרבה שנים ,קונות ,מוכרות... וגם יד שניה י. 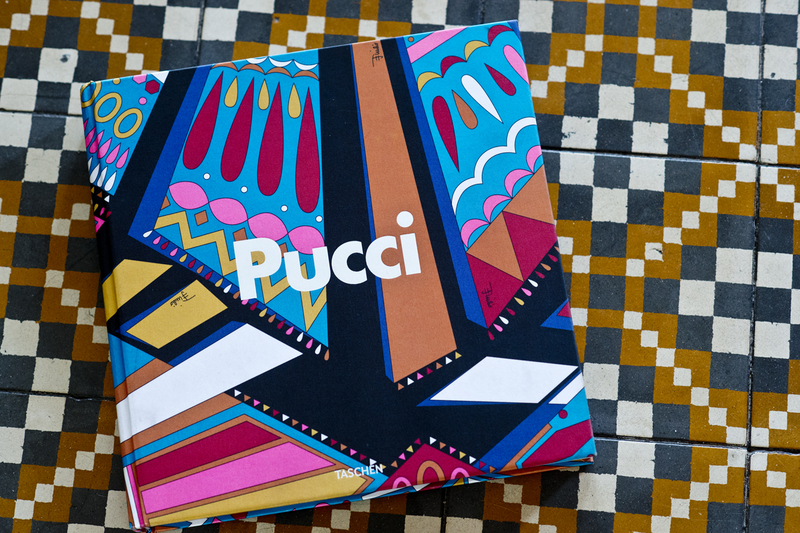 A book about fashion designer, Pucci, Orna Saul got as a 50th birthday gift from her sisters in law, gives Orna inspiration. Color and elegance. 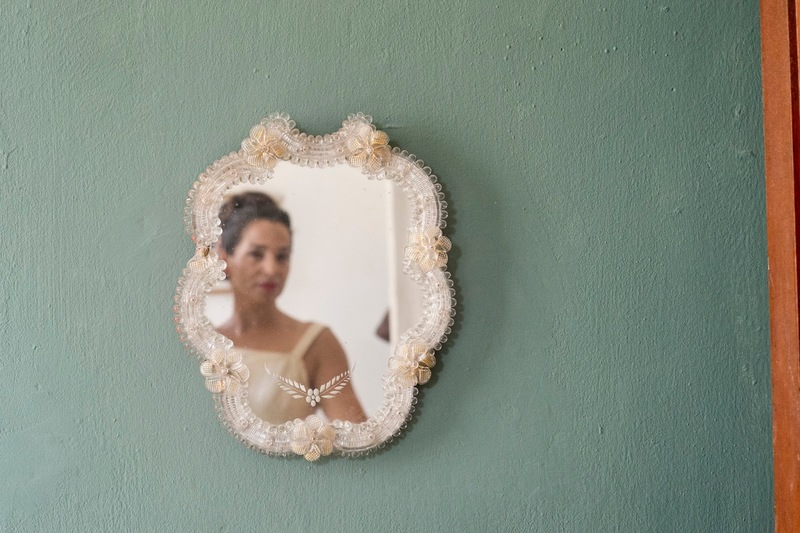 Many mirrors throughout Orna Shaul's house. "I'm not afraid to look in the mirror," she says. 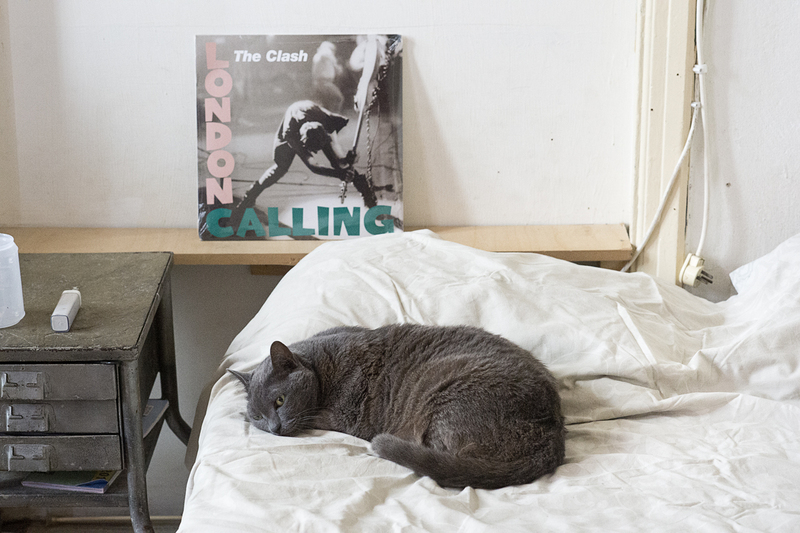 Another inspiration is the house cat, Michelle. "She is very elegant," says Orna. "Elegant, intelligent, feminine behavior .. I would also like to learn to be as peaceful as her"
על הידיים הטבעות האהובות על אורנה - עוצמתיות אבל פשוטות. צבעי בארוק. שתיהן מיובל הבעל.